This form is to submit a listing to the San Luis Obispo County Visitors Guide to be published in the next edition. 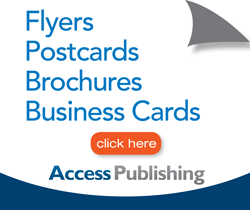 Printed listings are $125 per edition, or $99 on a 4-edition agreement, or may be included in an advertising package. Current advertisers and new advertisers are welcome to complete this form. Important: Total listing word count maximum is 45 words or approximately 300 characters. Listings are subject to editorial review and will be edited for style, format, and length if necessary. To be considered for a free listing on in the San Luis Obispo County Visitors Guide’s website directory, click here.